Being the wedding season it is time to elevate the bridal couture to a whole new level. In a couple of years, the bridal lehenga has taken a new look with the Western touch that perfectly complements the modern bride. We are gushing over the latest lehenga designs and we bet you too would fall head over heels in love with it. 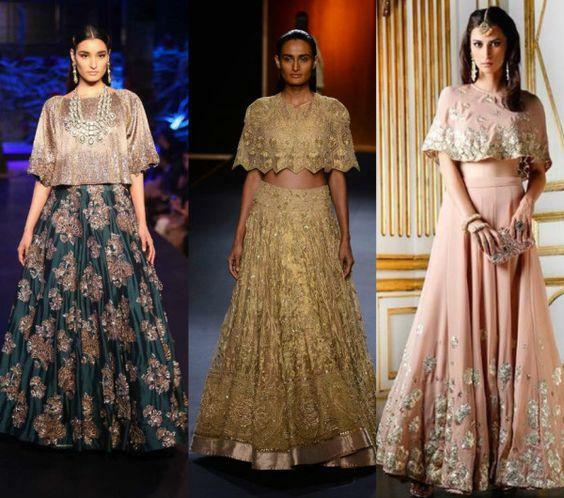 From off shoulder lehenga to ballroom lehenga there are tons of options that soon to be brides can look for and to make your job easier, we have narrowed down top 8 bridal lehenga designs that are just perfect for the modern bride. Take a look and start hunting your city for these fabulous latest bridal lehenga designs. This is one of our favorite latest lehenga designs for the bride to be. 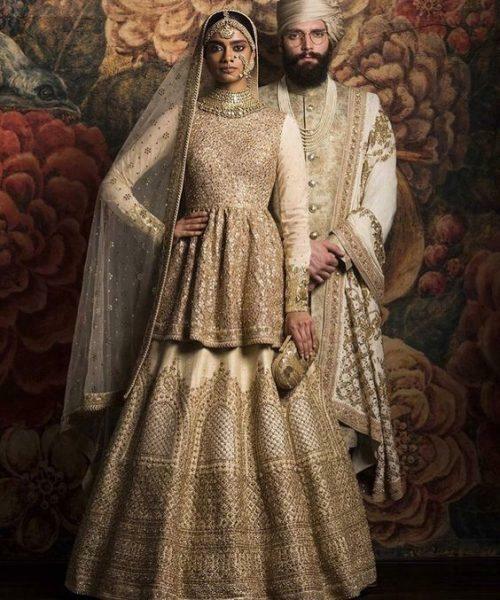 Without dupatta, the bridal lehenga gets a complete makeover and we love the way cape style gives a feminine and regal touch to the lehenga. So reserve this beauty for your wedding reception, and we bet you will be loaded with compliments. Next on our list of latest lehenga designs is the trendy peplum lehenga choli. 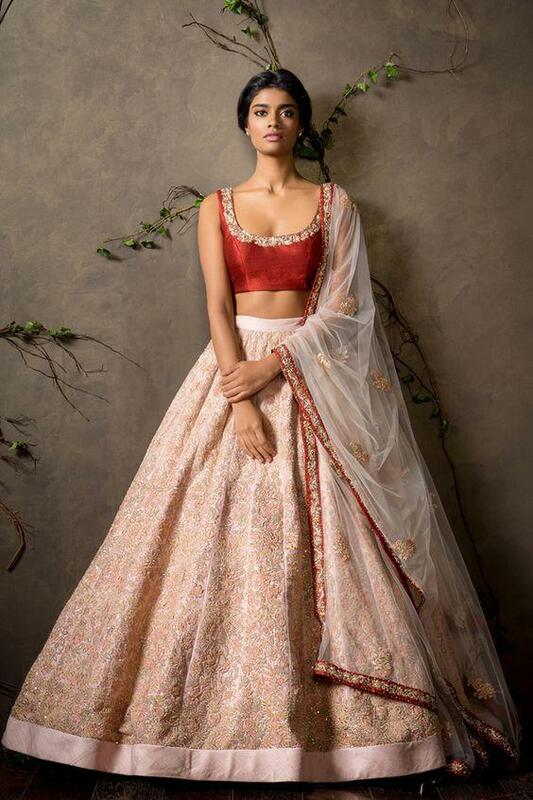 This style of lehenga gives a mega western touch and it is perfect for brides who want to hide their belly yet look stylish and chic on their wedding day. Peplum blouse will bring a twist to your bridal lehenga and we suggest embellished peplum blouse that will bring royalty to the bridal attire. Pick corset peplum lehenga for your cocktail party and trust us you will look gorgeous as ever. Did you always dream of looking like a Disney princess on your wedding day? Then you should definitely try the elegant ballroom lehenga which has a dramatic flair perfect for your sangeet function. As Gota Patti is the trendiest pattern, we suggest you pick pastel shade ballroom lehenga adorned with gota patti design, you will be called the fashionable bride. If you want to show the world that you are a modern bride then you should definitely try the off shoulder bridal lehenga. This is one of the latest lehenga design that has been trending in 2016, will be trending in 2017 as well and will easily flaunt your toned body. Team off the shoulder blouse with flared lehenga in bright shades such as red, maroon, pink and we recommend it wearing for the wedding reception. 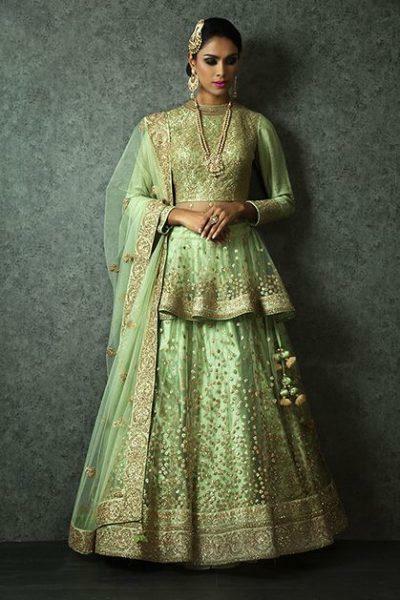 Winter brides will fall in love with jacket lehenga that not only adds a contemporary look to your personality, but will even keep you warm during the chilly winter. Pick sheer jacket or heavy detailed embellished jacket as both the pattern will look super elegant. Ditch the normal bridal lehenga and give a dash of a grand look by opting for scalloped lehenga. Scalloped lehenga is basically a lehenga where the edges of the lehenga is designed in curves or take the shape of a curve cut. 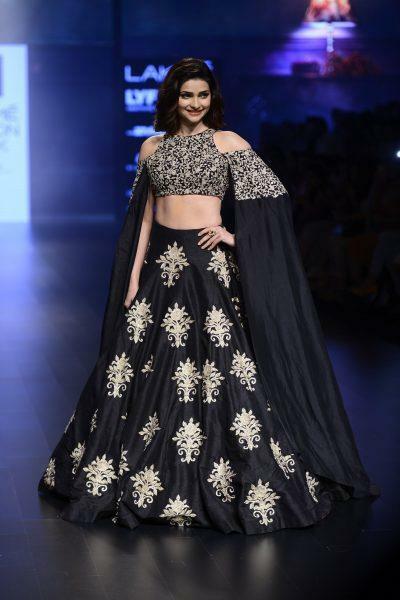 This style of lehenga grabs attention and you would get wide options when you look for designer labels. Scalloped lehenga in pastel shades with small motifs would be perfect for the wedding night. 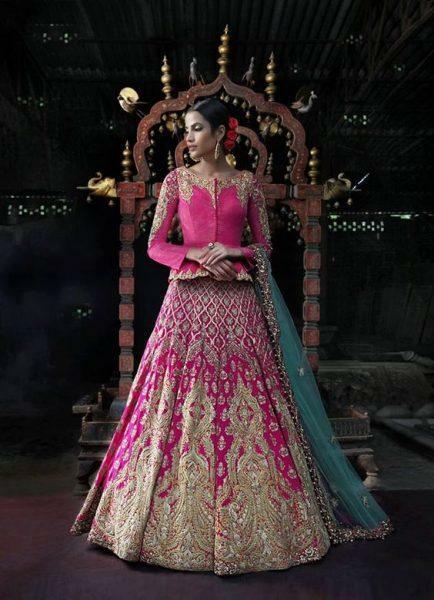 We bring yet another trending lehenga design that would suit the winter brides- the long choli lehenga. It is one of the trendiest lehengas that easily gives Mughal vibes. Also, long choli lehenga will perfectly hide all your flaws (tummy flab) and you will look no less than a royal princess. Our favorite is heavy embroidery long choli so do look out for that. 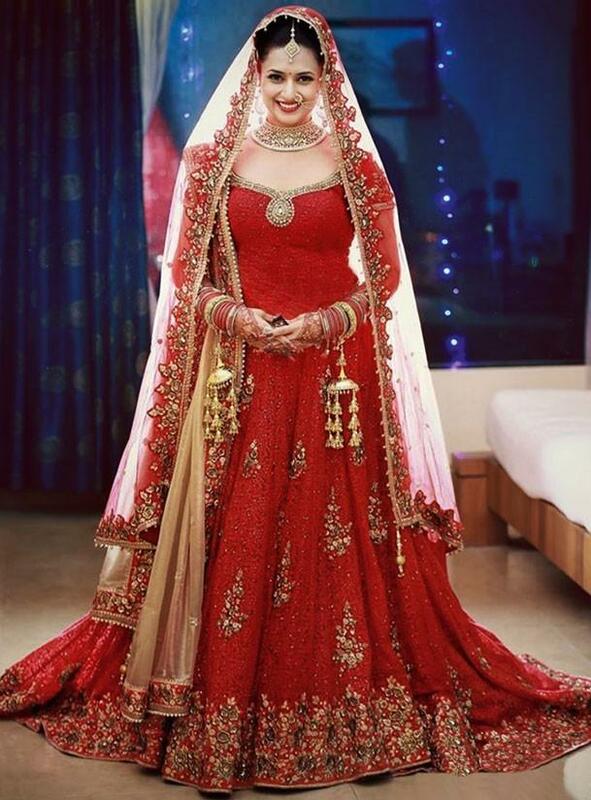 Divyanka Tripathi was seen sporting a long choli lehenga on her wedding and reception and she looked no less than a Mughal Bride in that gorgeous lehenga design! This has been the year of cold shoulder and if you want a fusion of Indian and western look then you cold shoulder is your cup of tea. 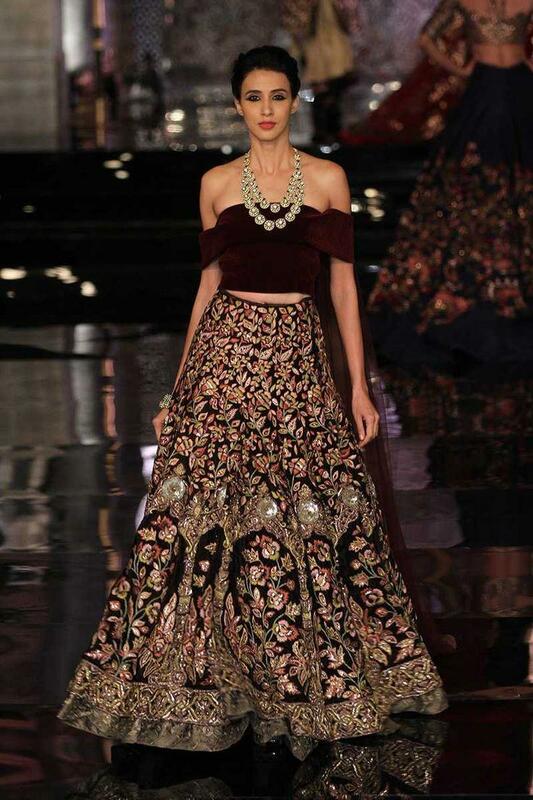 Go for cold shoulder lehenga with cape sleeve and you will display a queenly look. Wear this for sangeet ceremony and your man will not be able to take his eyes off. So bride to be transform your look on your big day with our latest lehenga designs and look fabulously gorgeous on your special day. 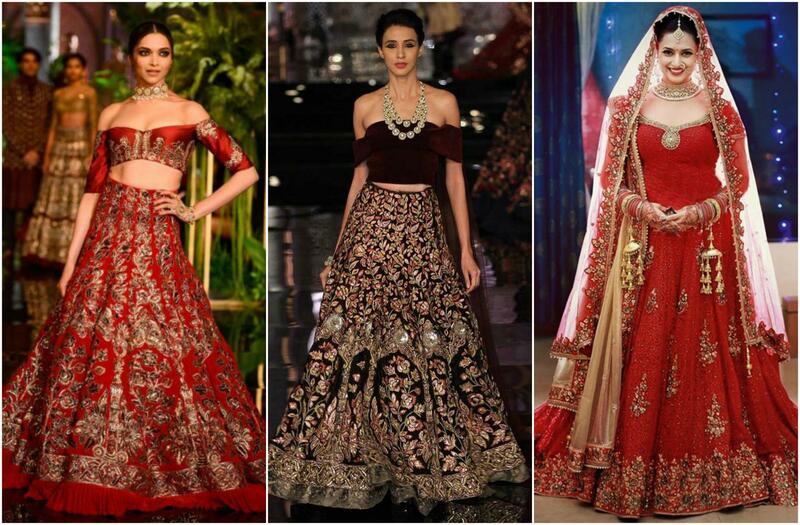 Let us know in the comments below which of these are your favorite lehenga design? Wow! 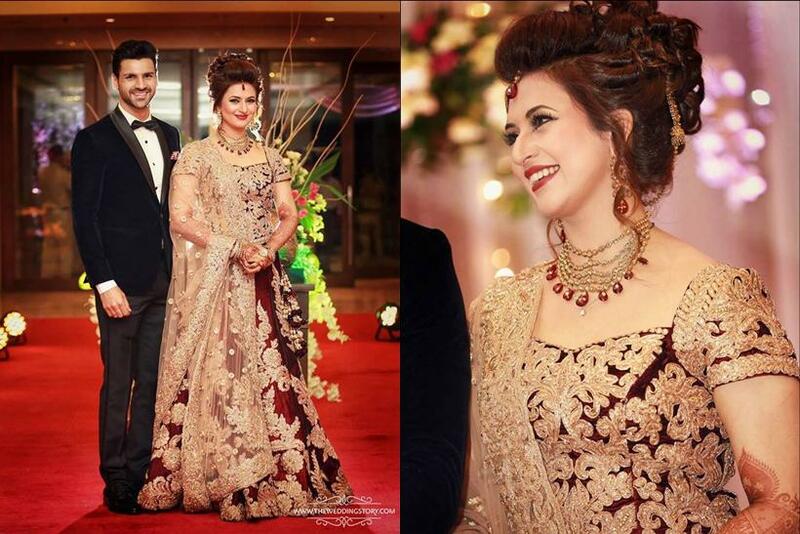 I liked Divyanka Tripathi’s bridal lehenga. It’s an amazing look of red color. Next Next post: List of Paraben Free Brands in India – Go The Natural Way!